Are you traveling by car this Christmas season? Perhaps you are just driving through the neighborhoods admiring the Christmas lights. 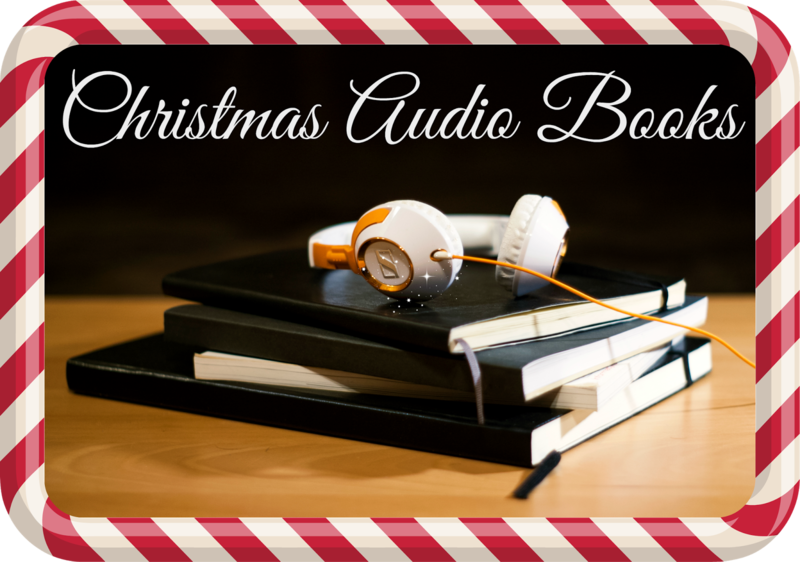 Or are you still making your daily commute and growing tired of the constant loop of the same handful of holiday songs? I tend to listen to audio books while in the office. 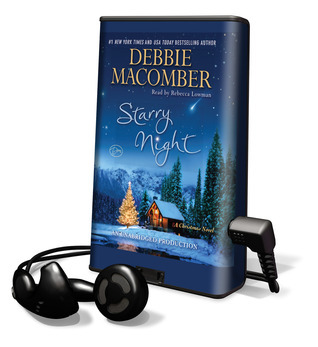 Some of the best Christmas audio books I've listened to come from Debbie Macomber. Her stories are always heartwarming. Here are the ones I have found at my digital library. 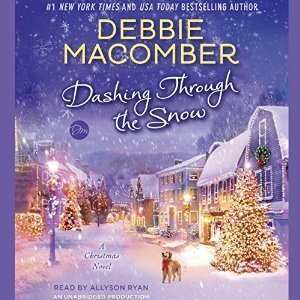 Last year, I happened across Macomber's Dashing Through the Snow and absolutely loved it. It was fun and flirty. So far this one is my favorite story of hers. I had wanted to listen to Starry Night for a while. It was always checked out last Christmas, but I lucked out this Christmas season and only had to wait a day. It was a fun story, worth the wait. Carrie Slayton, a big-city society-page columnist, longs to write more serious news stories. So her editor hands her a challenge: She can cover any topic she wants, but only if she first scores the paper an interview with Finn Dalton, the notoriously reclusive author. Living in the remote Alaskan wilderness, Finn has written a megabestselling memoir about surviving in the wild. But he stubbornly declines to speak to anyone in the press, and no one even knows exactly where he lives. Digging deep into Finn's past, Carrie develops a theory on his whereabouts. It is the holidays, but her career is at stake, so she forsakes her family celebrations and flies out to snowy Alaska. When she finally finds Finn, she discovers a man both more charismatic and more stubborn than she even expected. And soon she is torn between pursuing the story of a lifetime and following her heart. Filled with all the comforts and joys of Christmastime, "Starry Night" is a delightful novel of finding happiness in the most surprising places. 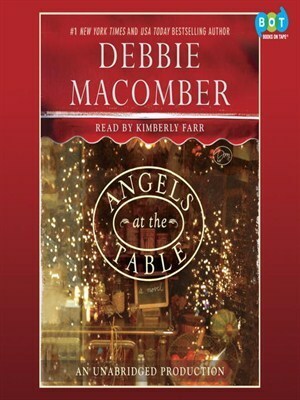 Angels at the Table is part of Macomber's Angels Everywhere series. I have not read any books in this series, though after meeting Shirley, Goodness, and Mercy in this Christmas tales I might be looking for others in this series. Shirley, Goodness, and Mercy know that an angel's work is never done, especially not during such a wondrous time as New Year's Eve. With an apprentice angel, Will, under their wings, they descend upon Times Square in New York City eager to join in the festivities. And when Will spies two lonely strangers in the crowd, he decides midnight is the perfect time to lend a heavenly helping hand. Lucie Farrara and Aren Fairchild meet after bumping into each other--seemingly by accident--in Times Square on New Year's Eve. They immediately hit it off and find they have a lot in common: Lucie is a burgeoning chef and Aren is a respected food critic. But just as quickly as they're brought together, another twist of fate tears them apart, leaving Lucie and Aren with no way to reconnect. A year later, Lucie is the head chef of an acclaimed new restaurant and Aren is a successful columnist for a major New York newspaper. For all the time that's passed, the two have not forgotten their one serendipitous evening--and neither have Shirley, Goodness, Mercy, and Will. To reunite the young couple, the angels cook up a brilliant plan: mix true love, a second chance, and a generous sprinkle of mischief to create an unforgettable Christmas miracle. Twelve Days of Christmas in Macomber's newest Christmas story. It is still on my holds list and I'm unlikely to get it before the end of the year. 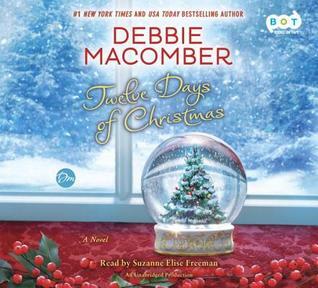 There are a number more Christmas stories from Debbie Macomber and if my experience holds true then any of them you pick up will be wonderful.